The Food and Drug Administration is advising patients and their doctors that it has found an "association" between certain types of breast implants and a rare form of lymphoma. It said that 12 deaths have been confirmed. The breast implants in question are textured, rather than smooth. The agency said women should talk to their doctors about the benefits and risks of textured-surface implants before agreeing to surgery. 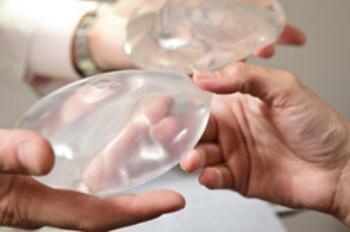 Implants are filled with either saline or silicone gel. They come in different sizes and shapes and have either smooth or textured surfaces (also known as shells). The rare form of lymphoma -- known as BIA-ALCL -- appears to develop more frequently in women with textured implants than in women with smooth-surfaced implants, the agency said. Women who already have implants do not need to change their routine medical care, the FDA said, and should continue to monitor their implants through mammography screening performed by a technologist specifically trained in working with implants. Women with silicone gel-filled implants should get periodic magnetic resonance imaging (MRI) to detect ruptures. The association between the implants and anaplastic large cell lymphoma (ALCL), a rare type of non-Hodgkin's lymphoma, was first noted in 2011, but there were so few cases that no conclusions could be drawn. "Since 2011, we have strengthened our understanding of this condition and concur with the World Health Organization designation of breast implant-associated anaplastic large cell lymphoma (BIA-ALCL) as a rare T-cell lymphoma that can develop following breast implants," the FDA said in an advisory. Australian health authorities earlier reported 46 cases of BIA-ALCL including three deaths. None of the cases involved smooth implants. The FDA said that as of Feb. 1, 2017, it has received 359 reports of BIA-ALCL involving breast implants, including nine deaths. Of those, 231 included information on the implant surface and 203 were textured while 28 were smooth. "All of the information to date suggests that women with breast implants have a very low but increased risk of developing ALCL compared to women who do not have breast implants," the FDA said. "Most cases of breast implant-associated ALCL are treated by removal of the implant and the capsule surrounding the implant and some cases have been treated by chemotherapy and radiation."